When it comes to log home care in the Georgetown KY area, no one does it better than 888-LOG-GUYS! Our friendly and professional staff will discuss with you the best solution for your home, and we offer free estimates! 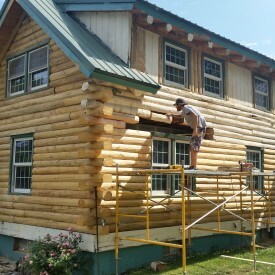 Our experienced work crew has the skills to execute your requested services, whether it be log home restoration, log home repair, log home chinking and caulking, log home improvement, and log home maintenance. Please contact us by phone or requesting an estimate from our website! 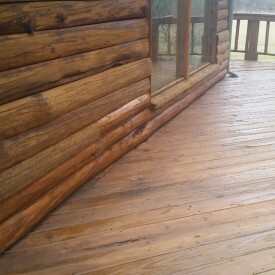 If you have logs that are looking weathered, old, or gray, then call 888-LOG-GUYS about rejuvenating your log home or log cabin to its original beauty. We prepare the logs by stripping the old stain with media blasting. As an option, you can have your logs sanded for a smooth finish before we clean the logs with a borate treatment. Next, we apply chinking or caulking in between your logs (if needed.) As the last step, our staff will assist you in choosing the perfect stain for your log home. You will be astounded with the new look of your home! Have you found some birds or insects digging into or making holes in your logs? Have you found some log rot deteriorating your logs? Do your logs not feel as firm or hard as they used to? Let 888-LOG-GUYS give you a free estimate on how we can fix your log home in the Georgetown KY area. Our professional work crew has repaired or replaced many damaged logs in need of care. Ask for an estimate from our website or call our number and talk with our staff in person. Give us a chance to show you how we are the best in the log home repair business! Gaps in between your logs can develop over time and be found in unexpected places. If you have started to notice insects invading your log home, air drafts around your windows, or water leaking through the walls, then you may need to have your energy seal repaired, replaced, or applied to your log home or log cabin. You can prevent or stop the annoyances of nature’s elements coming into your log home. 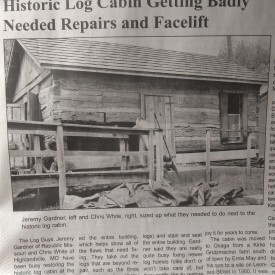 Ask our crew at 888-LOG-GUYS to apply chinking or caulking to your log home in the Georgetown Kentucky area! 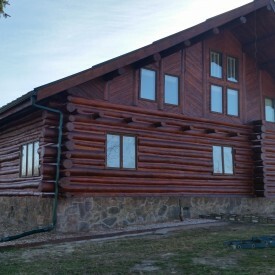 Do you dream about what you could add to or improve upon your log home or log cabin? 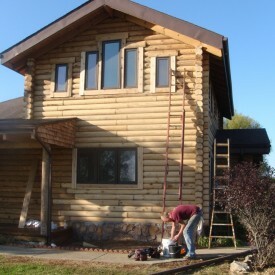 888-LOG-GUYS can plan and construct additions to add beauty and value to your already existing log home. In the interior of your log home, our crew can build log staircases and log railings as we have experience doing this in several log homes. We also have experience in constructing decks, porches, and patios to complete the exterior of your log home. Whatever it is that you are dreaming of, call us or ask for a free quote from our website! Do you know when is it time to clean your log home to keep it properly maintained? 888-LOG-GUYS has the answer to your log home maintenance questions! It doesn’t matter if you had us restore or repair your log home before. 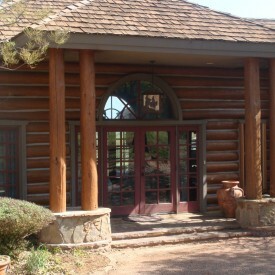 We will tell you what needs to happen to make sure your log home or log cabin stays in excellent condition. And you can always count on us to fix any problems that may come unexpectedly! Contact us to ensure we can help you where others couldn’t. Expect the best in quality and service in the Georgetown KY area! Experience - nearly five MILLION square feet of wood restored! Copyright © 2014 888-LOG-GUYS All Rights Reserved.